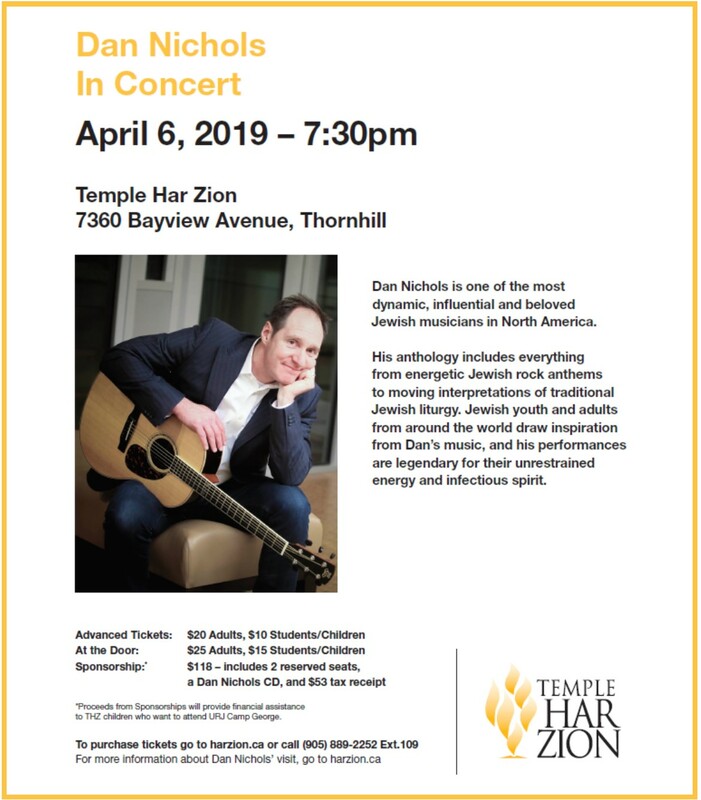 We are looking forward to welcoming Dan Nichols as our Artist-in-Residence on April 5th and 6th. Please join us for the Shabbat services. You may also view some short videos to get a taste of Dan's incredible talent and the wonderful weekend to come. Online reservations for this event are no longer being accepted. You may still purchase tickets at the door, Saturday evening.